This printer was working fine on both network PC’s for quite a while. Now after a very short time of it being started it won’t print. It seems like it won’t wake up on a print job from the network, which again worked fine until recently. If I turn it off and restart it, all the print jobs in the queue print, then a short while later, I do not know how long, it stops processing jobs again. I have verified the wake on print job settings and they are on. 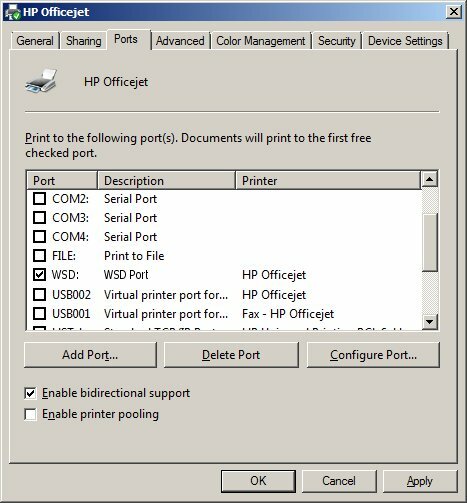 This document is for all HP printers and computers with Windows. The status message offline displays on the computer, and the printer does not print. An Offline status indicates that the computer is not able to communicate with the printer. In some network conditions the printer might go offline unexpectedly. Turn the printer off and on, and then make sure it is in a ready state. Search Windows for devices, and then click Devices and Printers in the list of results. Find the icon for the printer you originally installed. If a color or grey icon displays with a green checkmark, continue to the next step. If a color or a grey icon displays without a green checkmark, right-click the icon, select Set as Default Printer, and then continue to the next step. Click Printer. If a checkmark displays next to Pause Printing and Use Printer Offline, click each item to remove the checkmark. If you can print, the printer is online again. Continue to the next step if the printer goes offline again when printing later. If you are not using Windows 10, skip to the next step. Microsoft released a cumulative update for Windows 10 that helps improve discoverability of printers when a device resumes from sleep mode. This update can help prevent occurrences of your printer going offline, especially for wireless connections. Search Windows for Windows Update, and then click Windows Update in the list of results. Click Check Updates to make sure all critical and important Windows updates are up to date. To manually download the update, go to KB3147458 on Microsoft’s website (in English). Restart the computer, and then try to print again. If the printer cannot print and remains offline, continue to the next step. Resetting the printer can help restore a connection to the computer. If the printer is off, turn on the printer, and then check the status of the printer. If the printer starts printing jobs from the print queue, your printer is clearing out queued print jobs and is online. You can stop troubleshooting. If the printer goes to an idle state after its startup routine, it might be online. If the computer still shows the printer as offline, continue using these steps. With the printer turned on, disconnect the power cord from the printer. Unplug the printer power cord from the wall outlet. Wait at least 60 seconds. Restart the computer while you are waiting. Make sure the printer is connected to the computer or the network. Wireless network connection: On the printer, open the Wireless network or Settings menu to make sure the wireless signal is turned on. Make sure the light next to the Wireless icon is on and steady. USB connection: Make sure the cable is securely connected to the printer and to a working USB port on the computer. HP provides a free tool called HP Print and Scan Doctor to diagnose and resolve printing problems. Download and run HP Print and Scan Doctor to quickly and automatically perform several troubleshooting tasks known to resolve this issue. When this link is clicked, HP Print and Scan Doctor is downloaded using your Internet browser’s download capabilities. Under the Product heading of the Welcome screen, click the name of your printer, and then click Next. If you see white checkmarks ( ), the printer passed the tests. Click Test Print or click Skip. If you see yellow exclamation points ( ), the test failed and required user action, but the step was skipped. Click Test Print or clickSkip. If problems persist, continue to the next step. If the driver is using the wrong communication port, the printer remains offline as the connection cannot be made. Search Windows for devices, and then select Devices and Printers in the list of results. The Devices and Printers window opens. Right-click the name of your printer, and then select Printer Properties. Click the Ports tab, and then find the name of your printer in the Printers column. Select the correct port type if the selection does not match the current connection used by the printer. If you have a USB printer connection, skip to the Other things to try section in this document. A manual IP address connection is a more direct method of communicating to the printer and is less likely to go offline. These steps require that your printer is already set up on your network. If your printer has never printed successfully over your network, then you must first make sure it has been set up on the network. 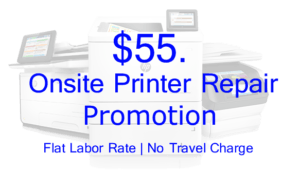 This involves installing full feature printer software from HP or using the wireless setup wizard from the printer control panel. For more help, see the user manual, search the HP website, or use the wireless setup wizard from the control panel, if available. Print a Network Configuration Report or Wireless Test Report from your printer. If your printer has a control panel with a display, print the report from the network settings or network setup menu. If your printer does not have a display, print the report using the buttons on the printer control panel. For many HP printers, this is done by pressing and holding the cancel button or a combination of buttons on the control panel until a report prints. For more information on how to print a report for your printer model, see the User Guide or search the HP website for network configuration report and the model of your HP printer. If status is connected, continue with these steps. If status is anything other than connected, such as Off or Disabled, then the printer is disconnected from your network. This is the reason your printer is offline. You must connect the printer to your network before you continue. 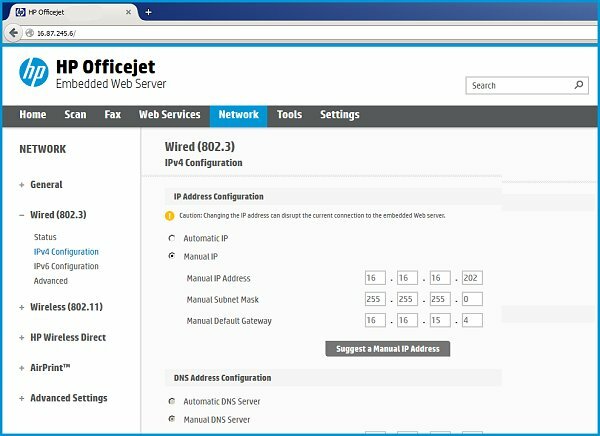 For more help on how to set up a connection to your network, see the User Guide, search the HP website for your printer model and wireless or wired network install, or use the wireless setup wizard from the control panel of your printer if available. On the report, find the IP Address, subnet mask, and Default Gateway for your active (connected) network connection type. If your report has separate numbers for IPv4 and IPv6, then use the numbers listed in the IPv4 section. From a computer connected to your network, find the URL(s) for Embedded Web Server (EWS) on the report and enter the URL into your Internet browser. If the webpage appears blank, use a different Internet browser. If you see a Suggest a Manual IP Address button, click Manual IP address, and the Manual IP addresses are automatically filled out for you. If your page does not have a button to suggest a manual IP address, type the IP address, subnet mask, and default gateway using the numbers shown in the report you printed. Write these new numbers on a piece of paper. You might need to use them later when adding a second printer device. After setting a manual IP address for the printer, add a printer port to Windows that matches this new IP address. Type the printer’s IP Address that you wrote down earlier, and then click Next. Select the new port from the list, and then click OK.
You might see a second printer device display in the list of devices. Do not uninstall either printer device. Leave both printer devices. Try printing, scanning (if your printer has a scanner), and opening the HP Printer software. 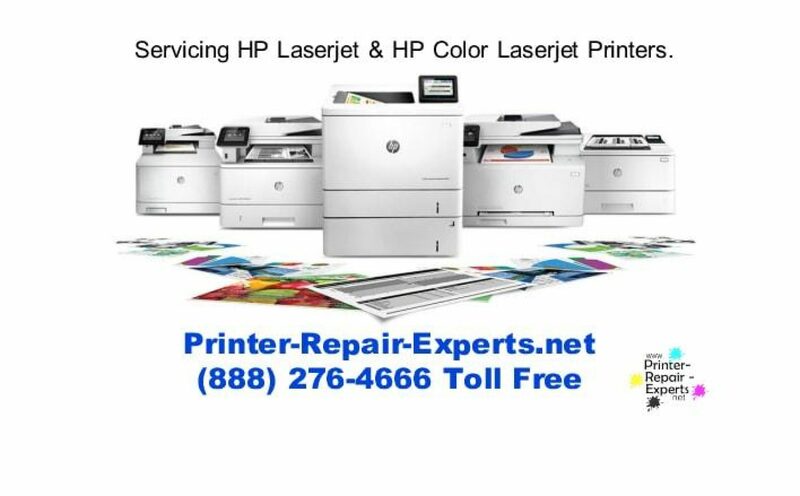 If the printer can print and there are no problems with scanning or opening the HP printer software, you can stop troubleshooting. Remove the printer devices, and then install the device again using the HP printing software. From the Device and Printers window, right-click one of the HP printer icons, and then click Remove Device. If a second printer icon is shown, right-click it, and then click Remove Device. There should be no printer devices listed for your printer. Open HP Printer Assistant. Search Windows for your printer name, and then click it in the list of results. Read and respond to the screens to add a new printer. From the Devices and printers window, right-click the name of your printer, and then select Printer Properties. Click the Ports tab, and then select the Standard Port you created earlier. A second printer displays in the list of devices.